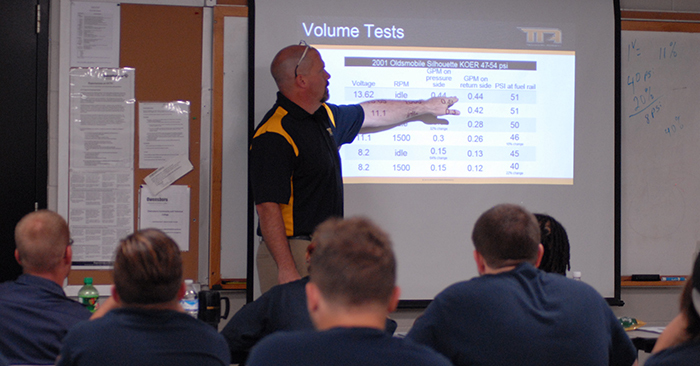 Technician.Academy started our 2016 Fall Tour on September 15 at Owensboro Community & Technical College in Owensboro, KY.
Paul Danner is providing his diagnostic expertise. This information provides a quick and easy way to diagnose abs activation on every stop. In the usual Scanner Danner way Paul uses his no-nonsense approach to complete the diagnosis. Peter shows a sometimes forgotten way to check for low voltage issues. By checking the ground side for voltage drop Peter speeds up the process and shortens the diagnostic time.